Hey there, everyone! So this is the recipe my son categorically refused to eat and I as an “authoritative mom” prepared him a nice creamy lasagna… He had to wait a bit, but he ate it all and was happy. I know that this is the wrong attitude, but I usually prepare things we all like, but when he refuses to eat something I don’t really see a point in obligating him to eat it or not giving him anything else to eat. But I think one day he will appreciate this recipe because it is so tasty with an interesting mix of flavors that I absolutely love. 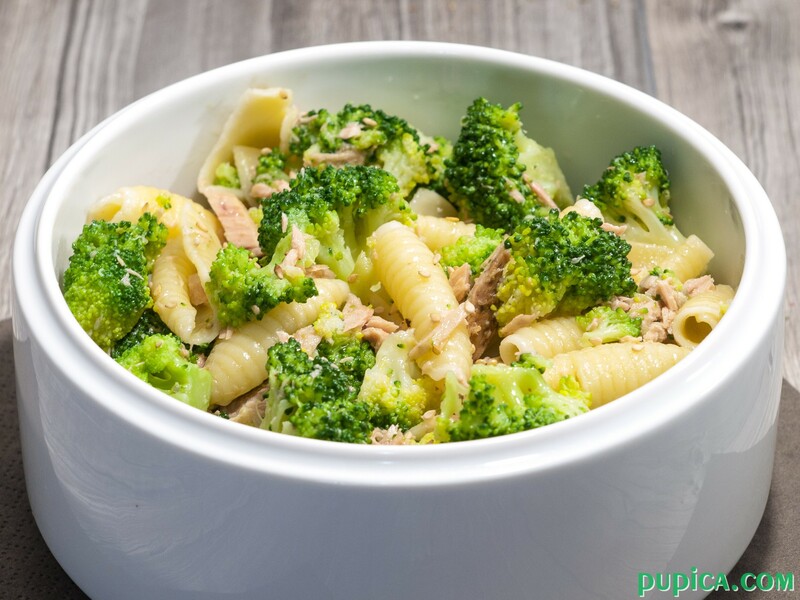 This is the simplest version of Pasta with Tuna and Broccoli, it is so versatile as a recipe that you can personalize it very easily by adding other ingredients like capers, olives or even bacon… yes, bacon and tuna make an exquisite combination I use often when preparing sandwiches, tuna melt, pasta recipes, but really often and if you haven’t tried it yet, now is the time! 🙂 I also add lots of seeds in this recipe like flaxseeds and sesame seeds which are very healthy and nutritious. Tuna dip is something my mom prepares very often mixed with black olives or capers, it is a delicious combination for bruschettas, bread with butter and herbs or for pasta. So another way to prepare this recipe is to mix broccoli and tuna in a food processor and you will get a super creamy sauce for your pasta. 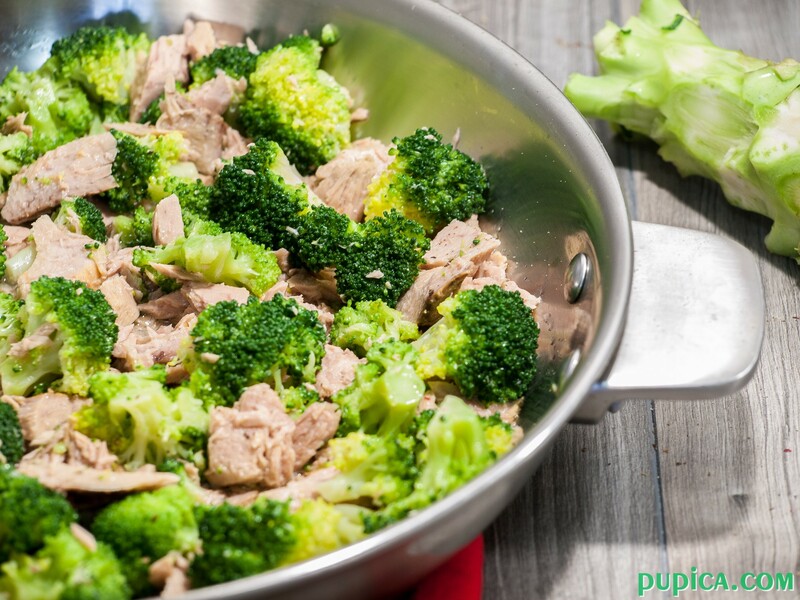 You can make tuna dip tastier by adding cheese and mayonnaise, but if you want a lighter recipe I recommend you to mix only tuna, broccoli, seeds and a few drops of lemon juice. Another great version of this recipe is to bake it, you just need to cook the pasta and drain it 5 minutes before the time indicated on the package, then mix it with other ingredients and grated parmesan, put it in an ovenproof dish, sprinkle with more parmesan cheese and bake for 15 minutes on 180°C or until the top is golden. 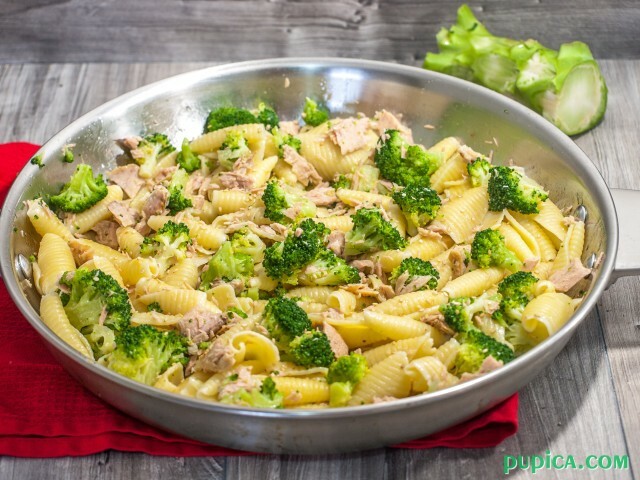 Although my favorite version is the one with raw broccoli, tuna, lemon juice and extra virgin olive oil, I think that is the most flavorful version of this recipe. If you add too much cheese it will for sure look super inviting but the cheese will cover quite a bit the flavor of broccoli. 1Boil the broccoli in salted water florets until fork tender and drain them. 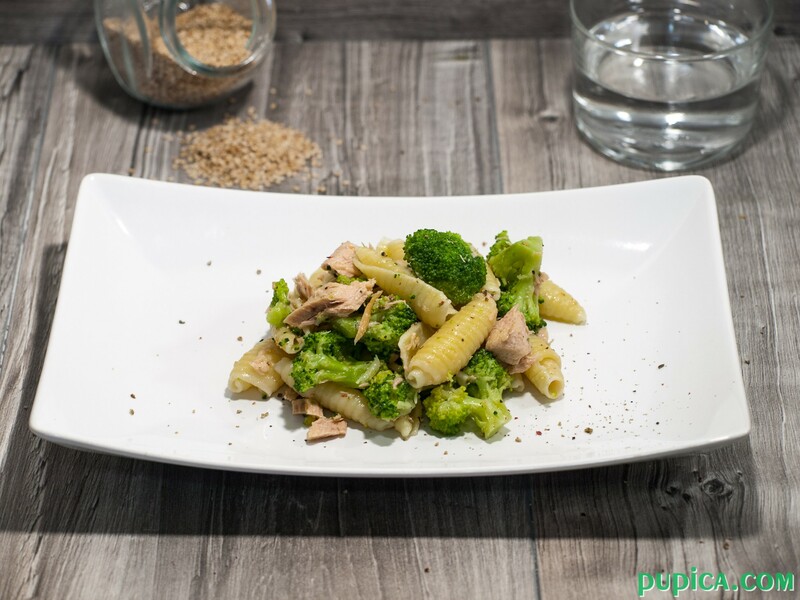 2Cook the pasta in broccoli water as indicated on the package. 3In a large skillet heat the olive oil and put a garlic clove. Take out the garlic clove when golden. 4Add broccoli and tuna in the skillet and then sprinkle with Curcuma, Parmesan cheese and sesame seeds. Drain the pasta and put it in the skillet. Toss well to coat. 5Adjust with salt and pepper.